You must have attended motivational lectures or followed some guru talks to bring some positive light in your life, however did you the fact that natural plants can do the magic of bringing positivity in your life and keep you filled with enthusiasm all the time. Yes that’s a fact that nobody can deny and is proven by various environmental bodies and researchers. We use plants for lively décor and freshness at our home and offices but seldom do we know which plants are the right ones to keep indoors that bring the flow of positive energy in our lives and add peace in our daily affair. 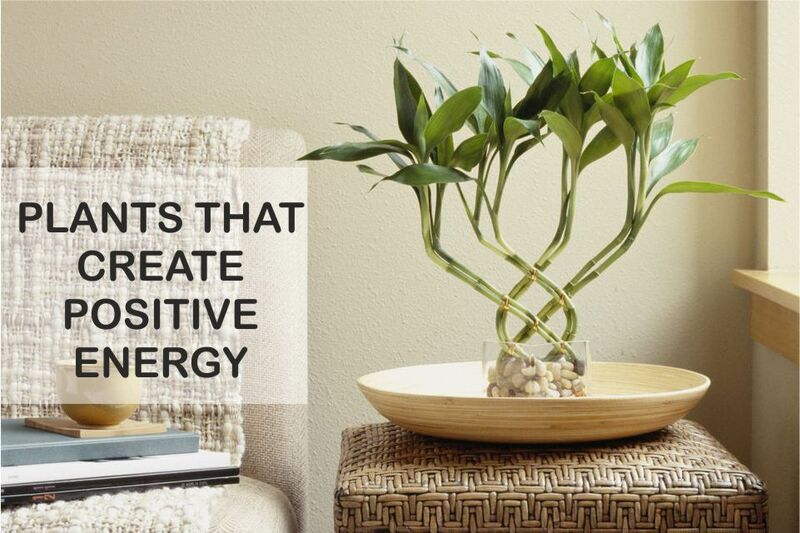 Luckily plants help us to eliminate negative energy around us and balance out the surroundings. Here we bring you the list of top 7 plants that are good to keep at home and at work place for positive flow of energy. Peace Lily –Peace lilies make best indoor plants for your home and office with minimum care and maintenance. They blossom in medium light, not to be put under direct sun. They have dark green leaves with a curvy look and many a times bear a beautiful looking white flower in the middle to add scenic beauty. Undoubtedly proven to be a natural stress buster, it also possesses properties of cleansing the air in its surroundings. Not to give it a miss for perfect houseplant as well as an office décor. Jasmine – Not all Jasmine plants have fragrance but most of them are fragrant and can be kept indoors. It has a mesmerizing sweet aroma that keeps your mood refreshed and lively. Cool temperature with a well-lit room is the perfect location for them. Keep Jasmine to flow positive energy around you and act as a perfect décor. Adenium Bonsai – Adenium is the most popular category of plants known to bring positivity in your life. Adenium Bonsai will be a long term investment that will bring fruitful returns for lifetime. The good looking house plant is a must have for indoor premises. Money Plant – Money plant is the most common houseplant that is loved by the people and is easy to upkeep with its low maintenance requirement. Its heart shaped light green leaves gives a refreshing look as well as spreads productive energy around. Less of water and semi shaded area is a perfect location for them. Holy Basil – Serving the mankind since decades and centuries, holy basil is a must have plant for every household for its unmatched good luck and religious properties. It also serves the purpose of bringing positive vibes in our lives. Make sure you don’t chew basil leaves, though swallowing them is good for health. Keep them in an open area with daily water intake. Plants are good source of receiving positive blessings from nature. Respect nature and in turn nature respects you in many ways. Buy plants online and get best quality plants for home. Visit www.greendecor.in for best quality plants to choose from and get it delivered at home the next day.